On 10th January 2013, Elaine Giles delivered a webinar “Adobe Connect 9 : Masterclass”. Elaine is an acclaimed and experienced Trainer, creative designer, technology consultant and podcaster. She specializes in slide design and visual communications and has extensive expertise in virtual training including webinar creation and delivery. Learn At Your Own Pace! No Internet Connection Required! Learn When You Want To, Where You Want To! Once you’ve completed your purchase via a secure server, you’ll be able to download the HD-quality recording which can be played on a computer or a mobile device. The recording is yours to keep forever. You can watch it as many times as you like and unlike some recordings, you don’t need to be connected to the Internet to watch it. Over 100 Minutes of Expert Tuition for Only £37! 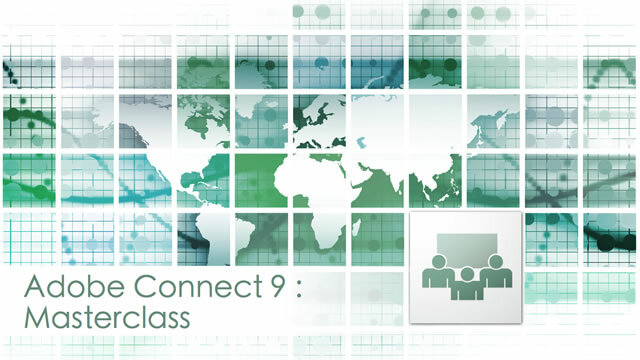 Over 100 minutes of expert tuition on Adobe Connect 9 and best practices for delivering virtual training and virtual presentations for just £37! Before you click the Buy Now button, here’s a short clip from the video in which Elaine demonstrates how to display taps on an iPad screen to a virtual audience in a webinar.